If you are looking for a shed that perfectly matches your requirements then Kent Sectional Buildings are the company of choice. 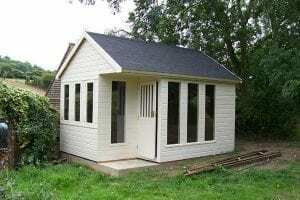 If you are looking for a Summerhouse or Chalet that perfectly matches your requirements then Kent Sectional Buildings are the company of choice. Kent Sectional Buildings are the company of choice for you if you are looking for a Kent company that can build garages that are tailored to your requirements. If you are looking for a greenhouse that perfectly matches your requirements then Kent Sectional Buildings Greenhouses are the company of choice. You will see a range of beautiful buildings, hot tubs, and swimming pools that represent what we’ve created and installed since our establishment in 1958. If you are looking for hot tubs or pools in Kent but are also looking for a high quality product then we will be able to help you with any design for pool or size for a hot tub. If you are looking for hot tubs or pools in Kent but are also looking for a high quality product then we are the company of choice for you.